Are you a fan of Geometry Dash? Well here’s a version in Minecraft. 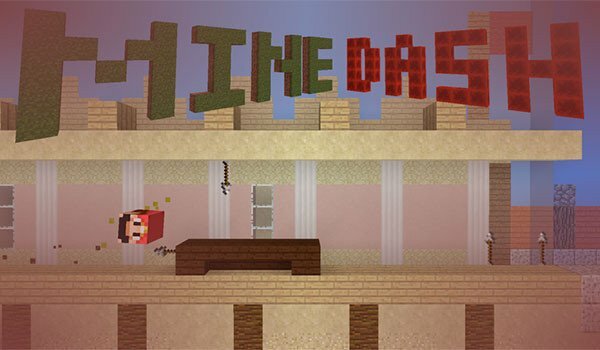 Mine Dash 1.8.7 is a map based of the platforms game for mobile devices, Geometry Dash. In this map we overcome the various obstacles that we find along the way, to get reach the end of each level. This map contains only two levels, but that does not mean that you would finish quickly. You can actually be costing you some time to complete these two levels, as there are few traps you find along the way. This is a map meant to be played by a single player. How to install Mine Dash Map for Minecraft 1.8.7? Geometry Dash in a Minecraft version!